Have you ever wondered what it would be like to have all your prayers answered? I know that God answers all of our prayers with either yes, no, or wait, but what if we knew how to pray in such a way that God’s answer was always yes? This is actually possible, and God tells us how to do it in 1 John 5:14-15: “This is the confidence we have in approaching God: that if we ask anything according to his will, he hears us. And if we know that he hears us—whatever we ask—we know that we have what we asked of him.” Did you see the last phrase of this verse? It says, “we know that we have what we asked of him.” Prior to that it says, “whatever we ask.” God is clearly telling us that it is possible to pray in such a way that God always responds positively to what we ask for. God actually sets the first part of this passage up by saying that we can pray with confidence knowing that God will answer. This sounds like New Testament praying. It is reminiscent of Jesus calling Lazarus from the grave or Peter saying to the lame man, “Silver or gold I do not have, but what I do have I give you. 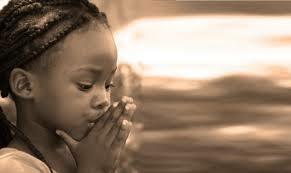 In the name of Jesus Christ of Nazareth, walk.” How can you have that kind of confidence in your prayer life? I do not like putting prayer into a formula, because it is a relationship, but there is a formula suggested here in this verse. God says that we must first ask according to His will. The first step of effective praying is to determine the will of God about a matter. Our first prayer then should be to ask God how to pray about a certain issue and then go about seeking to determine His will regarding our request. This will lead us into searching the Scripture, seeking advice from godly friends, and spending time in quiet meditation and prayer. Once we have discerned God’s will about a matter, then we can pray about it and “know we have what we asked of Him.” Let’s not be so quick to read off our prayer list to God. It would do us well to apply God’s revealed truth, the Bible, to our prayer life before we ever ask of God. When we know the will of God, our confidence in prayer rises, and we will see God acting to accomplish His will on earth. Today is the fifth day of our week of prayer. 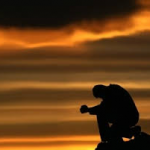 If you have not read the previous four blogs on prayer, I encourage you to do so. Today, we will focus on prayers of confession. 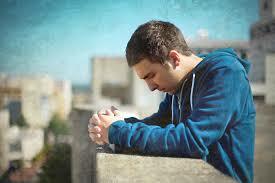 King David prayed, “Wash away all my iniquity and cleanse me from my sin.” What do you think about that prayer? I have used the whole fifty-first chapter of Psalms in my prayer life, taking the words of the Psalmist and making them my own, on numerous occasions. Here’s something we should consider about this verse. It was written in about 1050 BC, which was over a thousand years before the death and resurrection of Jesus. David’s perspective on sin and forgiveness is different than ours. He was praying this prayer before Christ’s atoning sacrifice. The cross changed everything! Once we are a Christian, we are not asking God to wash away all of our iniquities, because they were washed away at our salvation. Consider this. If you are a Christian, you received Christ into your life, confessing your sin and asking for forgiveness, and Jesus forgave you of all of your sin. Romans 4:25 says, “He who was delivered over because of our transgressions, and was raised because of our justification.” This passage says that because of Jesus’ death and resurrection, our sins are forgiven and we are justified. To be justified means to be made “just-as-if-I’d” never sinned: justified. Since the resurrection, believers stand before God clean and forgiven. The fact is, you were cleansed from your sin the moment you became a Christian. This is a wonderful truth. We do not cower before God asking for forgiveness as if He may not forgive. We should be broken before God over our sin, but grateful for the forgiveness that is ours through Christ. This means when Satan tries to wear us down with accusations and shame, we remind him that we are justified through Christ and not condemned. When we pray David’s prayer of Psalm 51, maybe we should add the words “thank you” to the beginning: “Thank you for washing away all my iniquity and for cleansing me from my sin.” Confess your sin to God today with the full knowledge that the blood of Jesus cleanses us from all unrighteousness. Thank Him for the cross and for the privilege of being His child. Prayer is a life and not just an event. I have learned in my Christian walk how naturally it is for me to fall into a pattern of compartmentalization. By that I mean that I create small compartments through which I live my life. I can have the pastor compartment, the husband compartment, the father compartment, etc. While these categories are quite harmless and acceptable, I can also create the Christian compartment and the secular compartment. I can even create compartments of activities such as one for Bible reading and one for prayer. Here’s the problem. My spiritual life cannot just be a compartment. For that matter, spiritual disciplines cannot just fall into a neat category. Prayer cannot just be an activity I perform, and when I am done, I fold it up and put it away until it’s time to pull it out again. I do not have a spiritual life; I am a spiritual life. Everything about my journey with God defines my being. Give it a try. Continuous prayer changes things, and the biggest thing it will change is you. Go ahead. Start praying and don’t stop. God is anticipating your conversation. We are by nature selfish people. I hate to say that because I would rather not think of myself as selfish, but there is a very natural bent in all of humanity that can lead us to a self-centered life. Thankfully, our relationship with Jesus and the fruit of the Spirit (agape love) helps to overcome this natural tendency in us. This natural move toward self is evidenced many times by the content of our prayer life. If we could somehow sift through all of our prayers, I believe we would find that many Christians spend the vast majority of their prayer time in asking for help, deliverance, provision, or victory over a struggle. Though there is no way for me to know for sure, I think we might find that most of our prayer life focuses upon ourselves instead of upon God. Do you think that is true? First of all, we must come to the conclusion that prayer is not ultimately about us. God did not provide for us the wonderful avenue of personal conversation with God just so we would have a means to get our needs met and our happiness quotient filled. For one thing, prayer is the means by which God accomplishes His work on earth. Remember in the Lord’s Prayer: “Thy Kingdom come Thy will be done on earth as it is in Heaven.” There is one type of prayer that is so overlooked by many Christians that will help us get our prayer life into proper perspective. It is called the prayer of praise. 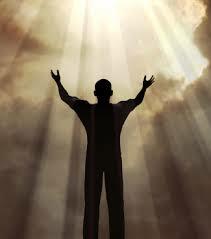 The prayer of praise is a prayer that simply focuses upon the character of God. We are quite familiar with prayers of thanksgiving, which thanks God for what He has done. Prayers of praise declare who God is. Praise causes us to focus our attention upon the nature of God and remove our gaze from ourselves. Consider the opening words of Psalm 90: “Lord, You have been our dwelling place in all generations. Before the mountains were born or You gave birth to the earth and the world, even from everlasting to everlasting, You are God.” Do you see how the focus of this prayer it totally upon God? It is not a prayer asking God for anything, not that asking is wrong (we’re actually commanded to ask in Matthew 7:7). This prayer does not focus on any personal benefit we receive from knowing God. It is a prayer that declares God’s nature. As you pray this week, read through the Bible (especially the Psalms) and find examples of prayers of praise. Pray them back to God as your own declaration of His nature. I think we will find that the more we focus upon God, the more we realize His greatness and power. This leads to greater trust and deeper love. It moves us to more consistent obedience and total dependence. Try spending some time in prayer where you only praise God. You may find it difficult but ultimately refreshing. 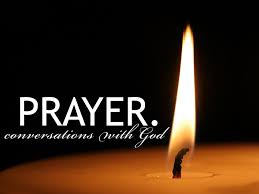 When I was a boy, I was taught that prayer is simply communication with God. It is amazing that God invites us to an intimate, personal relationship whereby He is available to us at any time in any place. We can enter His throne room for a personal conversation just through bowing our hearts in prayer. This sounds quite simple, yet sometimes real prayer can be a challenge. Sometimes the challenge comes from our own making, and at other times, it is the result of spiritual warfare. Satan oftentimes creates hindrances to meaningful prayer in our lives. Overcoming distractions is important as we seek to connect with God, and one discipline to help us deal with these distractions is fasting. When many people hear the word fasting, images come to their minds of strange people who live weird and extreme lives. Donald Whitney stated, “Fasting is the most feared and misunderstood of all the Spiritual Disciplines…and yet it’s mentioned in Scripture more times than even something as important as baptism” (Spiritual Disciplines). 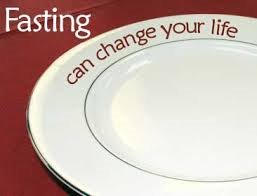 Fasting is typically connected to refraining from eating food, but it can relate to many other things as well. You can fast from food, television, internet, or any other practice that has created interference in your spiritual life. Fasting should not just be refraining from something, but it should also include replacing something. For example, instead of eating a meal, you could spend that time in Bible reading and prayer. Fasting is an intentional clearing away of time in our lives to give focused attention to God. Calendar your fast so that you can make sure your experience will provide the meaningful spiritual encounter with God you desire. This means you choose a time when you have the most opportunity for focused prayer and Bible reading. If you have never fasted before, start small. You could begin by just skipping one meal and using the meal time for prayer. You can slowly move to skipping additional meals. During your time of fasting, increase your Bible reading and prayer time. Gather additional resources that will help your fasting time be meaningful such as devotional books and worship music. Keep a pad or computer available where you can write/type your thoughts during your time of focused prayer. As you sense God leading and speaking to you through His Word, make some notes of things you might do to follow up on these spiritual insights. You can use this as a spiritual journal of your experience so that you will have your thoughts on paper and be able to go back and prayerfully review your time with God. You can also use this pad to make notes of other things that come to your mind that otherwise might be distracting to your prayer time. I find that my mind races with things that are distracting, and I have discovered that if I write these ideas down, I can free my mind of the thought knowing that I have made a note to which I will return at the conclusion of my fast. Satan will inundate your mind with distractions, so this method has helped me to free my mind of these interruptions. While you should not publicize your plans for fasting, involve someone who is close to you for the purpose of encouragement and support. This could be a family member. If you have children, use this as a teaching opportunity to help your children see the value of planning times of focused prayer in their lives. Drink plenty of liquids. Fasting is a time of physical cleansing as well, so water will be a valuable resource. Establish goals for your fast before you begin. Write your goals down and plan things you will do during your fast to accomplish your goals. Consider reading some resources on fasting and prayer, like The Power of Prayer and Fasting by Ronnie Floyd or The Transforming Power of Prayer and Fasting by Bill Bright. Share your experience with some close, Christian friends afterward as a testimony of God working in your life and to encourage others to practice this life-changing discipline. Prayer and fasting is life-changing, and I believe you will find your personal relationship with Christ deepens as you seek Him during this focused experience. Do you know of any additional thoughts that will help us practice this discipline? Share them below. Tomorrow, I will write about one of the least practiced prayers in the church: the prayer of praise. Prayer may be one of the most talked about and least practiced experiences in the church. This is interesting when you consider that Jesus said that His house should be called “a house of prayer for all nations.” Why do so few Christians really pray? 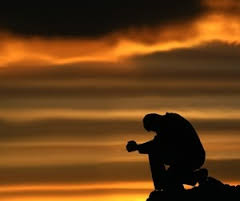 When I say really pray, I do not mean the prayers of desperation where we cry out to God for help, though I have had God respond to those types of prayers many times in my life. I am not referring to the rote prayers that we could say in our sleep because a number of Christians may methodically tack on a prayer before a meal. I am talking about a real conversation with God whereby we share our heart, our mind, our burdens, and our joys. The fact is, God commands us to pray about everything. Philippians 4:6-8 says, “Do not be anxious about anything, but in every situation, by prayer and petition, with thanksgiving, present your requests to God. And the peace of God, which transcends all understanding, will guard your hearts and your minds in Christ Jesus.” I love that passage of scripture. God is saying that he wants us to pray about every situation, every need, every burden, every pain, and every joy. It elevates prayer to more than just an experience. It is a life which we live. If we pray about everything, it means that we get out of bed in the morning with a prayer on our lips and slip off to sleep at night with the final “amen” of the day. When we do this, God says that His peace comes and sets up a guard around our hearts (emotion) and our minds (intellect). For those who attend SonRise Baptist Church in Newnan, we are beginning a week of prayer emphasis September 14 – 20. I invite anyone reading this today to join with our church family in praying for our nation, our world, our churches, our families, and our lives. God wants us to pray. The verse above says that He does not want us to worry about anything but pray about everything. Will you join us this week in prayer? I’ll post comments on my blog every day during this week of prayer. Come back daily, read my thoughts, and then share your thoughts below. Tomorrow, I’m going to share some comments about fasting. Lord, You told me not to worry about anything but pray about everything. I am sorry for the times I choose to worry instead of to trust. I do feel under attack by the enemy many times, and I want to learn how to trust in you. You are faithful and true. You never leave me or forsake me. Thank you for being my God and for calling me to prayer. I submit my mind and my heart to you as I begin a week of focused prayer. Could you help me to encounter you this week in a significant way as I seek You? In Jesus’ name, Amen.